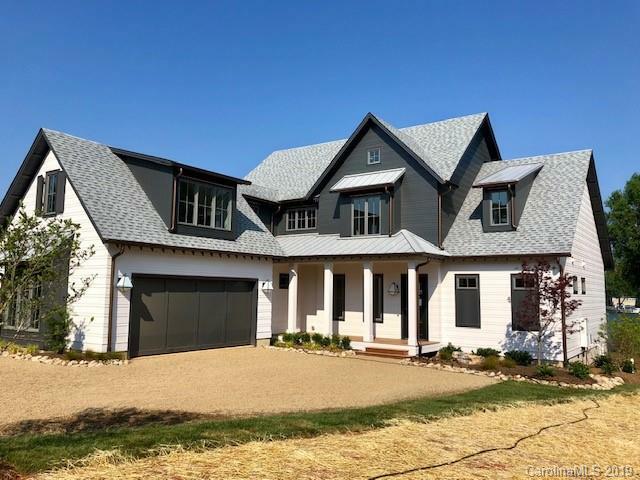 WATERFRONT new construction by luxury builder Southern Cottage Corp. Under roof and completed by early 2019...Modern farmhouse with Hardi-siding, main and upper lakeside covered porches, separate bonus room, walk-in pantry, kitchen with 48" SS range and casual dining opens to great room, hardwood floors, owners suite on waterside, 3 en-suites on upper level, bunk-room can be 4th upper bedroom with closet, rec-room, office area, large 2 car garage...see attachments for details. Bonus room over garage has separate stairwell, could be theater room or private office.Total Sq footage is 4400+...Duke Power Lake Management verbally OK'd pier and boat slip. Buyer can submit plan for approval and permit ...pool can be added to property...see attachments for detailed cabinet and lighting plan... Your new home at Lake Norman is almost ready!